If there’s one thing I keep clamoring for that the Yankees haven’t done yet this off-season, it’s signing a Cuban free agent. I mean what’s so hard about that? The Diamondbacks did it (Yasmany Tomas), and everyone else has been doing it over the last couple of seasons. Why not us? I already spoke a couple of months ago about the big ticket guy from this off-season, Yoan Moncada, but it turns out there’s a whole other Yoan I didn’t even know about – Yoan Lopez (pictured above). I think the Yankees should go crazy, pull out their pocketbooks and sign all the Yoans they can, and here’s why. Let’s touch quickly upon Moncada, since, as I said, we’ve discussed him in detail before. Moncada is, by all accounts, an absolute stud in the making. The kid is 19, and has the following scores on the 20-80 scale that scouts use to evaluate young talent. You might have some concern with his fielding tool score, but you have to remember that, at just 19, that’s actually pretty solid. As he matures as a player, picks a position and gets to work, that tool should improve, at least a little. At worst, he’s an average defender, which isn’t so bad anyway. The rest of the tools, combined with his age, are good enough to make scouts salivate, and ensure that Moncada will get somewhere in the $30-40 million range when a lucky team makes him theirs. If you want to know more about this Yoan, just read my post from November. As for Lopez, he throws a cut-fastball, a change, a curve and a slider, but is best known for a fastball that hovers in the 93-to-95 MPH range. His fastball has been clocked at 100 MPH three times since he began working out for teams. 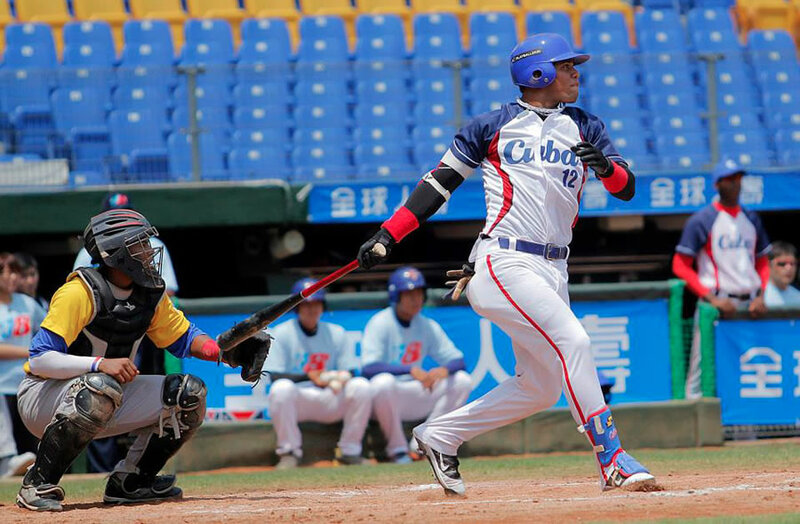 Back in Cuba, Lopez played three seasons for Isla de la Juventud in Cuba’s Serie Nacional, the island’s top league. He sported a 3.12 ERA with 28 strikeouts and 11 walks in 49 innings in his final season before defecting from Cuba. Simply put, he throws extreme heat, and seems to have sensible enough control. His strike outs seem pretty low for a guy with such a live arm, so I’m willing to bet his secondary pitches need work and guidance for him to reach his full potential. I suppose teams could also shift him to the bullpen and take advantage of the big fastball too. 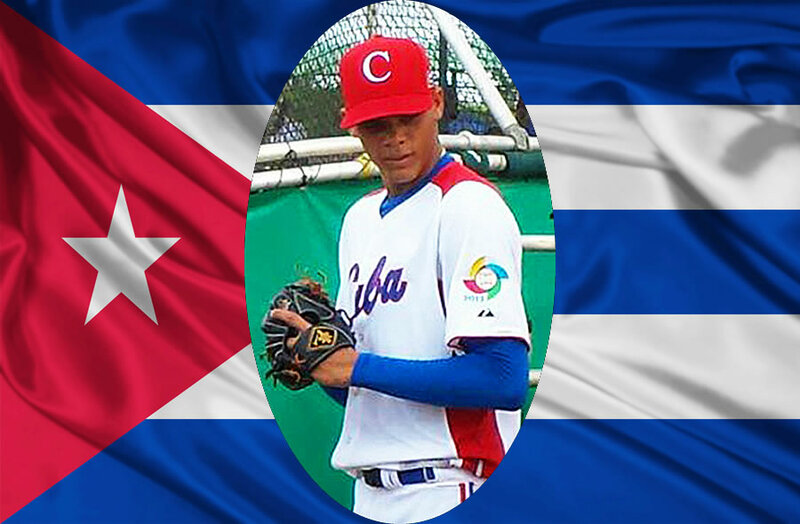 Like Moncada, Lopez is under the age of 23 and has played less than five years of professional baseball in Cuba, which means he falls under the normal rules for international free agents. Teams have a limit on how much they can spend on players like this, and face sanctions if they go over. This is actually an advantage for the Yankees, who have already gone over that limit for this year. How is that an advantage? Well, if you’re gonna go over, and face sanctions for the next two years anyway, you might as well go all out. It reminds me of how I drank in college: if you’re gonna get drunk, you might as well get hammered. Now, it’s uncertain just how much it will take for a team to sign Lopez, but he’s not expected to get what Moncada’s going to get. Let’s say, for fun’s sake, that it will take $50-60 million to get both of these guys. How many teams even have that handy? The Red Sox would certainly be contenders to sign either player, and possibly both, as they are also over their limit for the year and have money to spend. The Angels spent $8 million on Cuban infielder Roberto Baldoquin, which also put them over the limit, but I’m not sure if they’ll have enough wiggle room in the budget to pick up either of these two, let alone both. Like most teams, the Yankees desperately need young impact prospects in this system, especially in the infield and in a possible starting rotation. These signings would check both of those boxes, and could greatly improve the organization now and in the future. Let’s get all the Yoans available and, if more Yoans defect, sign them too. It’s the year of the Yoan, and it’s time the Yankees get on board.